. Since there is no hurdle score, you can maximize your chances of clearing the exam by applying common sense on what you know and on what you don’t. 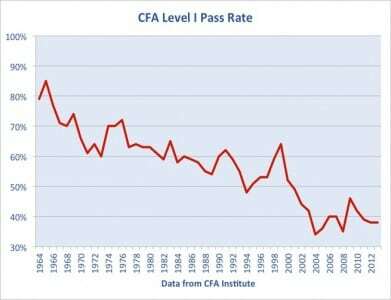 The image below shows the falling trend in pass rate, which could be attributed to a rising difficulty level in the exams. Who should write the exam? Are you interested in the investment industry? Are you in the final year of your college? Do you want to get into banking/investment/ research/ investment banking profile? Are you looking out for the best self-study course in finance? 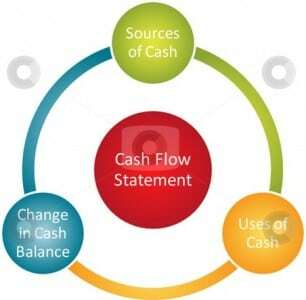 A Cash Flow Statement provides information about sources and uses of cash of the firm. It provides information to assess firm’s liquidity, solvency and financial flexibility. CFO stands for cash flows from regular business / incidental transactions. CFI stands for cash flows related to acquisition of long term assets + non trade investments. Q1. Are there any specific videos to watch for CFA? Yes, there is a wide variety of free videos on YouTube. The structure of the video has to be good and should cover crucial topics. You might also need hand-holding under an expert’s supervision to follow what is taught in the videos. Q2. Is CFA Tougher than CA? Both are two separate courses – CA is an accounting course while CFA is an investment course. Both have some commonalities but are for different audiences. Q3. Are there any specific tutorials on how to get a hang of financial calculator? Scientific calculators can be complicated and a burden sometimes; there will be a specific video covering the same as part of our training course. Q4. 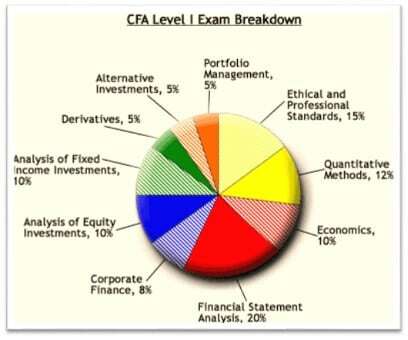 In CFA or actuarial science, what is more difficult? What are the job prospects? Actuarial science is applied extensively insurance and different statistical applications, while CFA is part of finance vertical, inclining more towards commerce. Actuarial science has a niche market with a decent pay package, but the probability of getting a job in CFA is higher. It is also relatively much more difficult than CFA. Q5. I am not strong at Math, how do I prepare for quant part of CFA? A good trainer and good,comprehensive and relevant question bank will help you.